Norbert Berend joined GSK as a Global Medical Expert in a part time capacity in 2015. 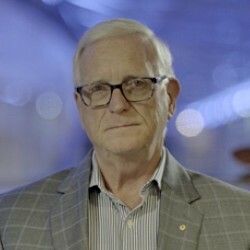 Norbert is also Head of Respiratory Research at the George Institute for Global Health, Professor Emeritus at the University of Sydney and Member of the Physiology Group at the Woolcock Institute of Medical Research. Norbert also holds visiting and honorary professorships at 3 Chinese universities. Previously Norbert was Head of the Department of Respiratory Medicine at the Royal North Shore Hospital in Sydney, Executive Director of the Royal North Shore Hospital and Director of the Woolcock Institute for Medical Research. Norbert has been heavily involved in national and international respiratory societies having been President of the Thoracic Society of Australia and New Zealand and the Asian Pacific Society of Respirology. He has also served on the Council of the European Respiratory Society and has been a member of the Board of the American Thoracic Society. In 2011 Norbert was Chairman of the Forum of International Respiratory Societies. Click here to see the contacts to report adverse event. The website is prepared for physicians resident in Algeria, Argentina, Aruba, Azerbaijan, Bahrain, Barbados, Belarus, Bonaire, Brazil, Chile, Colombia, Costa Rica, Curacao, Dominican Republic, Ecuador, Egypt, El Salvador, Georgia, Guatemala, Honduras, India, Jamaica, Jordan, Kazakhstan, Kuwait, Lebanon, Mexico, Oman, Pakistan, Panama, Peru, Philippines, Qatar, Russia, Saudi Arabia, Trinidad and Tobago, Turkey, Ukraine, United Arab Emirates . This website has been updated on 02.08.2018.